It’s the world’s longest railway tunnel - the new Gotthard Tunnel. 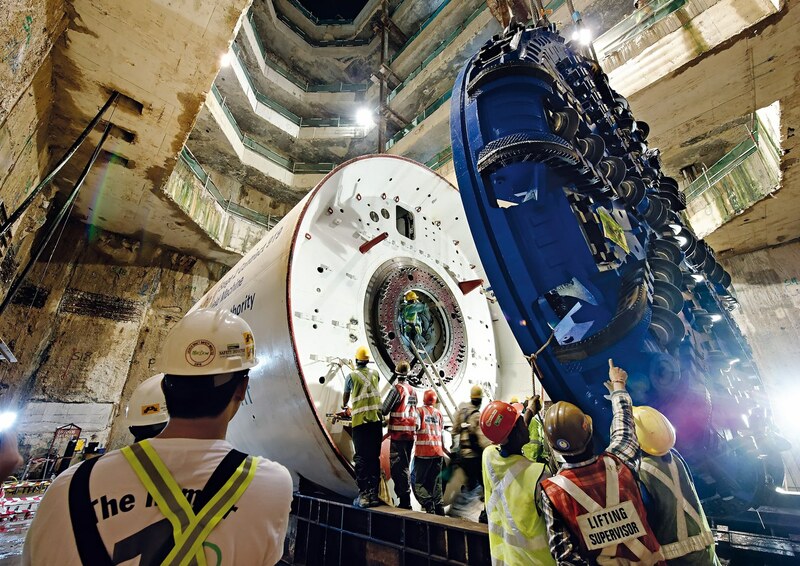 In just 26 months, 111 kilometres of tunnelling is to be carried out in the geologically sensitive Bosporus. 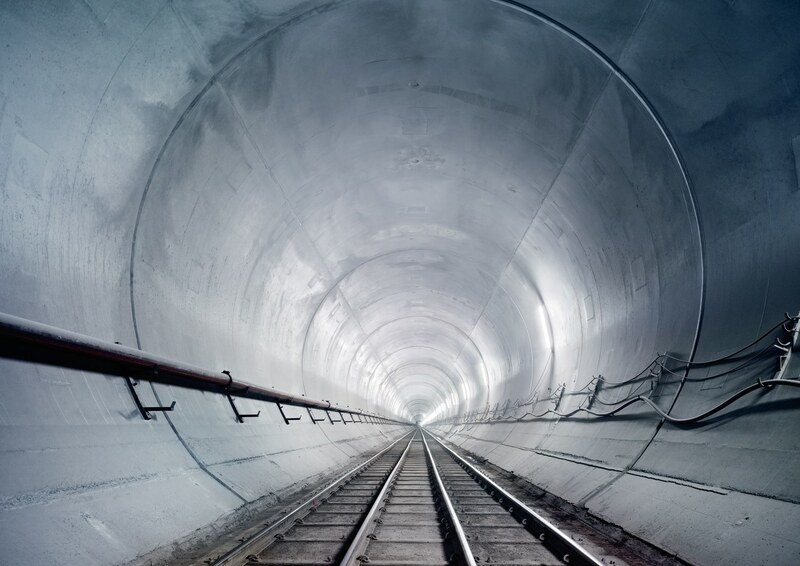 Herrenknecht - the global market leader for tunnel driving technology - is making it possible, with the assistance of Lapp cables for extreme applications. Herrenknecht machines are developed and built for use throughout the world. Some of them more than 100 metres long and delivering almost 6000 horsepower, the tunnel driving machines create vast tunnel bores, but the company is aiming for even larger dimensions. However, each individual machine has to withstand different kinds of extreme conditions and requires the corresponding configuration. Different requirements within an application also represent a major challenge. Cables and connections used in the front drilling zone have to meet very different requirements to those fitted inside the machine. All components must first be able to cope with the huge vibrations that occur when moving tens of cubic metres per minute - in some cases with boulders in between. Every Herrenknecht AG tunnel boring machine is individually constructed, commissioned and tested before being accepted by the customer, disassembled and delivered. “Excellent service is our top priority. We support our customers throughout the entire project - up to successful breakthrough”, says Stefan Jäke, who is responsible for managing the project and is the head of the order centre. The machines that build this kind of giant tunnel are project-specific one-off developments and have to be adapted to the geology. The aim is that not just the machine, but also the components used, can complete the relevant driving section in one go. With this kind of undertaking, it’s more important than ever to work with reliable partners and products. The electrical wholesaler Friedrich Streb supplies components for these extreme applications, including Lapp connection solutions such as ÖLFLEX® power and control cables, UNITRONIC® and ETHERLINE® data cables, SKINTOP® and SKINDICHT® cable glands and EPIC® connectors. For example, the latter were used as extension connectors in construction of the Gotthard Tunnel, as the further the tunnel boring machine was driven into the mountain the longer the cable for the power supply and control had to be. Therefore, EPIC® H-BE connectors with housings and inserts were installed every 50 metres. They are ideal for high stresses and current levels and offer excellent reliability. Lapp also produced a special cable for a crane system for Herrenknecht, which was located towards the back of the tunnel boring machine and was used to transmit bus signals and provide the emergency stop connection for the crane control. Because it also had to be designed for constant movement, the solution developed was a combined Profibus cable with highly flexible pilot cores. Four Herrenknecht tunnel boring machines bored the entire 85 km of the Gotthard Base Tunnel. An incredible 13.5 million cubic metres of material was excavated, five times the volume of the Great Pyramid of Cheops. The company was established around 40 years ago by the mechanical engineer Martin Herrenknecht, and is a true success story, growing from a garage-based operation to a global player. In the past, the early machines had the initials of the founder: MH1, MH2 etc. The company, which is based in the village of Allmansweier in Baden, is now the global market leader for tunnel boring systems, with over a thousand machines and around 5000 employees.